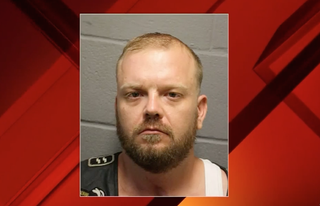 A Houston man was charged with a hate crime Wednesday after, authorities say, he hurled racial slurs before attempting to stab a black man at an apartment complex in northwest Harris County on Tuesday. James Scott Lee, 32, was heard saying, “I hate niggers, and I’m going to kill me one today,” before brandishing a knife at his victims, prosecutors say. Fortunately, according to Click 2 Houston, the unidentified victim was able to escape by jumping into a car and locking the door. Lee also had a pair of brass knuckles on him at the time of his arrest, authorities say. Lee is facing charges of aggravated assault with a deadly weapon, with a hate crime enhancement. The district attorney’s office called Lee an imminent threat, asking the judge to make his bond $250,000, about eight times more than prosecutors would normally request, according to the news station. Prosecutors said that Lee is either mentally ill (right) or has a deep-seated hatred toward African Americans. “It’s shocking, even though things are happening like that lately; it still shocks that people would want to do this,” resident Steven Maiden said of the incident.